D3EMO will be held from the 3rd to 7th of September 2018 at Copenhagen Business School. 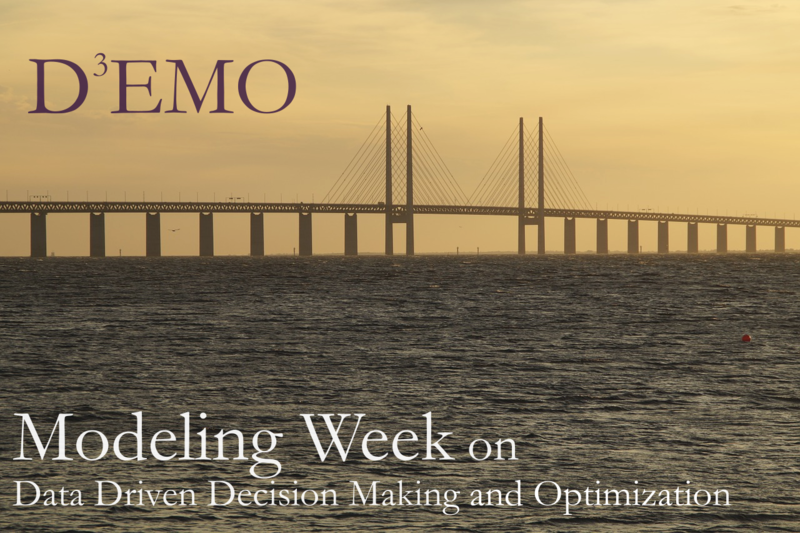 D3EMO Modeling Week will admit PhD students on a competitive basis, to work on problems proposed by industry. The PhD students will be required to have expertise in Mathematical Optimization, Operations Research or Statistical Data Analysis. Mathematical models and numerical solution approaches will be developed and communicated, following a collaborative approach, in which the PhD students will work in small groups under the supervision of the senior researchers during the Modeling Week. D3EMO Modeling Week is a natural place for PhD students to acquire advanced mathematical modeling training given by experts in the area, as well as contributing to their career development training (both for academic and non-academic progression) by developing further their collaborating and communication skills. The format of the D3EMO Modeling Week is as follows. The industrial participants present open problems they encounter in their organization. Four problems are expected to be proposed. The event participants will split into groups each representing a problem. The groups will be chosen carefully and there will be at least one senior researcher per group. The attendees will work together to sketch a solution approach, including a mathematical optimization model and a suggestion of suitable high-performance optimization approaches for it. At the end of the week all groups will gather and the solutions will be presented by the PhD students to the audience. From Copenhagen Airport it is simplest to take the direct connection through the Metro to Frederiksberg. Copenhagen Business School is located within walking distance from Fasanvej station. Air France is a leading global player in its three main areas of activity: passenger transport, cargo transport and aircraft maintenance. From its hubs at Paris-Orly and Paris-Charles de Gaulle airports, the airline operates flights to 195 destinations and 91 countries. Being the fourth largest European airline company with 98.7 million passengers in 2017 problems are inevitable. During the Event Air France will be attending and bringing problems that comes with being a leading provider of aerial transportation and maintenance in a globalized industry of high competition. Central Bureau voor de Statistiek (CBS) is an independently operating government funded organization. During the event CBS will be bringing problems that occur when you are a key publisher for reliable information that will be used during micro-, macroeconomic and international debates. DSB is the main provider of public transportation by Train in Denmark. 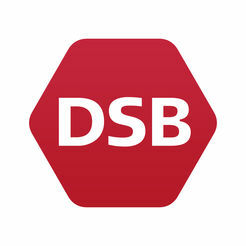 DSB is a contract payed independent state-owned firm providing jobs for over 7.000 employees and transporting 500.000 travellers daily. During the event DSB will be bringing industrial problems faced during when being one a major provider of transportation by Train. Tesco plc is a major multinational grocery and general merchandise retailer based in Great Britain. 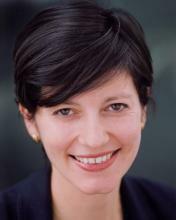 Experiencing major growth Tesco plc is one of the forerunners in adapting to a fast-paced multinational environment. During the event Tesco plc will be bringing some of the current problems that they are facing at the time of the Event.